I love sandwiches. Its great to have a simple dinner on a busy day and sandwiches fit the bill. In 1762, John Montagu (the 4th Earl of Sandwich) created this hand held delight when he placed his meat between two slices of bread, enabling him to stay for longer periods of time at the gambling table. So in his honor, I present to you another great sandwich! 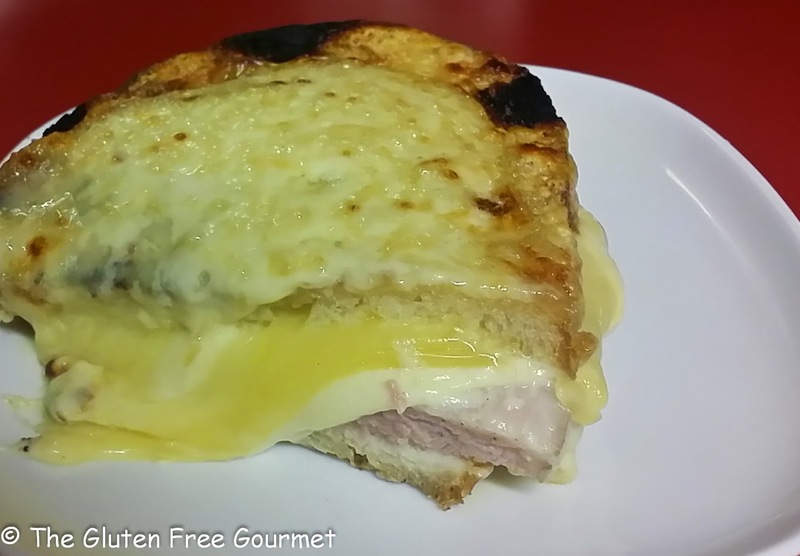 A classic take on the traditional grilled ham and cheese – creamy and rich goodness…. Butter both sides of all the bread. In a large skillet or grill pan, brown one side of each slice and then flip. 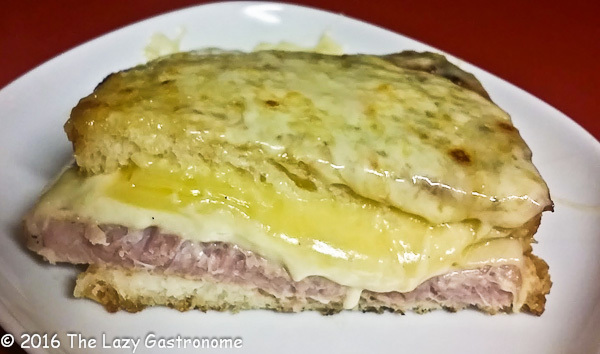 Place two slices of cheese, 1 slice of ham and 3-4 heaping Tablespoons of the béchamel sauce on each of four slices. Top with a second slice and grill until the cheese is melted. Top each sandwich with pieces of ½ slice of cheese. Place under the broiler until the cheese is lightly browned and bubbly. Remove from the oven, cut in half and serve hot! Melt the butter in a medium sauce pan. Add the flour and cook until it is lightly browned and thick. Slowly add the half and half, stirring constantly. Add the remaining ingredients and stir until it becomes a very thick sauce. Remove from the heat until ready to use. 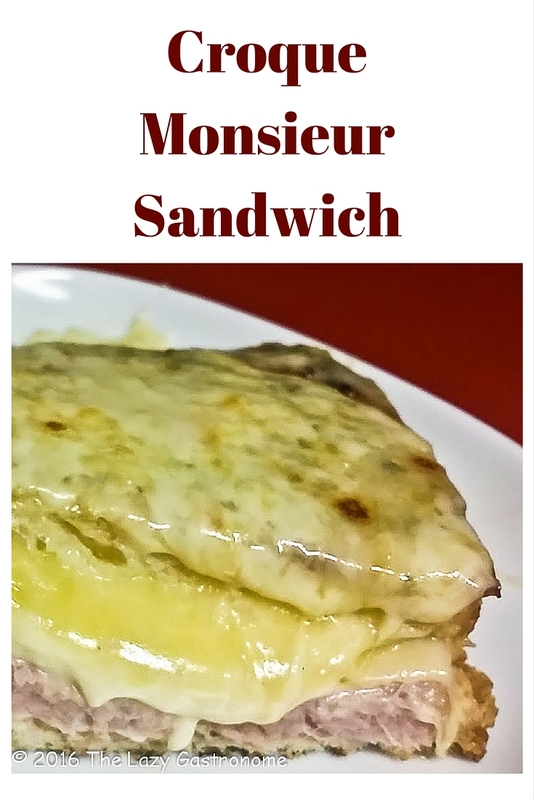 This entry was posted in Main dish, Sandwich and tagged cheese, dinner, ham, lunch, sandwich. Bookmark the permalink. 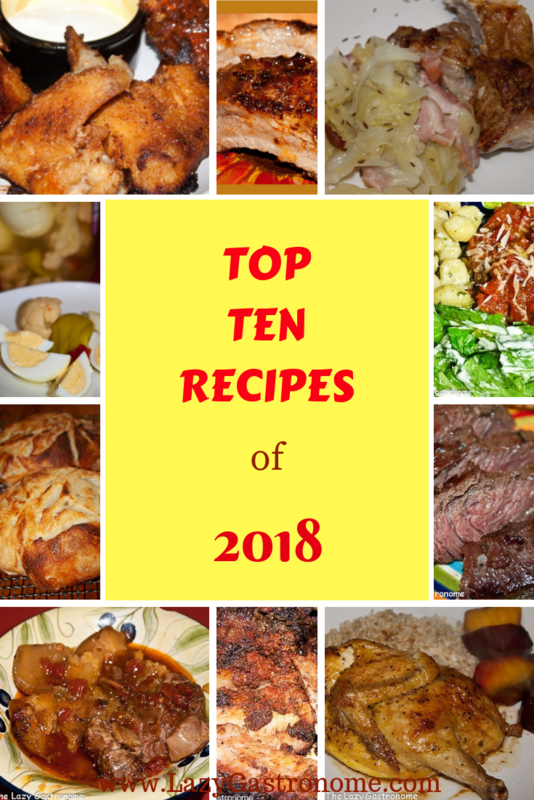 I think I gained two pounds just reading the recipe, but boy, does this look yummy!